Performance’ at the Australian Percussion Gathering 2010 and many more. Robert has released two CDs, one of which is solely dedicated to his own percussion works (Soar: A Composer’s Portrait) including his marimba concerto, Soar: Concerto No. 1 for Marimba and String Orchestra. 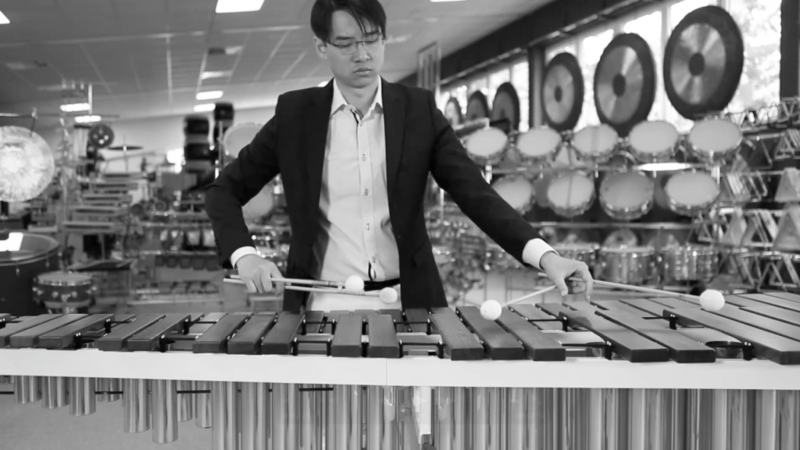 Robert is an Encore Mallets, Inc. endorser and a Marimba One Discovery Artist. As a composer, Robert has composed numerous works for percussion which have been performed all over the world. He has been commissioned by the Australian Marimba Competition to write a compulsory Australian piece (Étude de Paganini and Song and Dance) for the 2015 and 2016 edition, for which he was also a jury member of the competition panel for both years. Since then, Robert has received many commissions from different artists and ensembles, the most recent by German pianist Susanne Kessel for the ‘250 Piano Pieces for Beethoven’ international composition project (For Allyce), celebrating Beethoven’s 250th anniversary of his birth. His first symphonic work, Spirit of The Dreaming with solo didgeridoo, was premiered at the 2008 Aurora Music Festival in Sydney, Australia. Later that year, it was performed again with renowned didgeridoo soloist, William Barton. Robert was selected for the 2010 Ku-Ring-Gai Philharmonic Orchestra Composers’ Workshop program during which he composed his orchestral work, Reflections on an Islandʼs Landscape, under the mentorship of composer Nigel Butterley and John Peterson. His works are published by Edition Svitzer (Denmark) and Tapspace Publications (USA).